The king of romance - Shah Rukh Khan has been spreading love and joy among millions of his fans across the globe has also clocked 25 years in the industry. With every passing day, the actor has only tried to better himself. Shah Rukh has taken risks at various points in his career, risks which he knew, may not pay off well for him, but still he took the chance anyway. The actor not only inspires us all with his work on screen but also through his words. But do you know who made SRK Shah Rukh Khan? 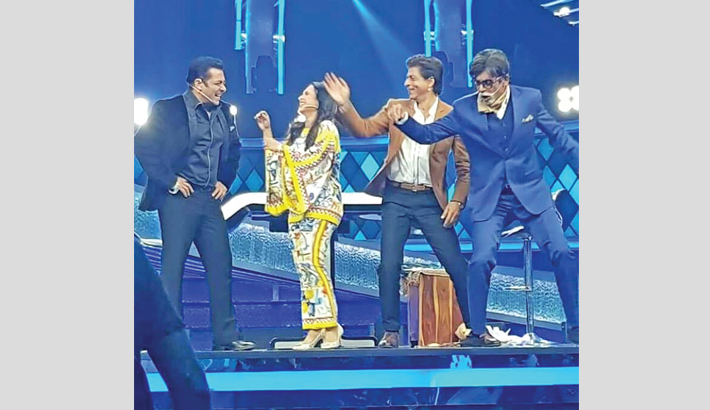 At the grand finale of Salman Khan-hosted game show Dus Ka Dum 3, Shah Rukh Khan said that he owed his success and fame to Salman’s father, veteran screenwriter Salim Khan. Shah Rukh participated in the show with actress Rani Mukerji. They relived memories of their film “Kuch Kuch Hota Hai” with Salman, who had done a cameo role in the film– report agencies.